For the fourth release, 41 markets are classified as improving under a conservative examination of local economic and housing market conditions. 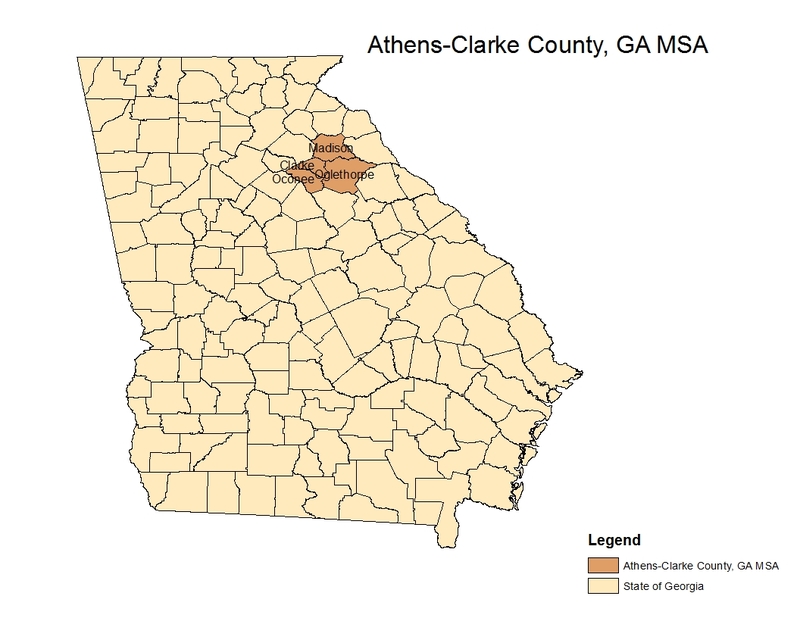 Among these areas is the Athens, Georgia metropolitan statistical area (MSA). Comparing educational attainment and employment data from the 2000 Census to the 2009 American Community Survey confirms this. The number of people with some college jumped from 15,177 to 22,859, and those with an associate degree rose from 3,668 to 5,377. The number of those with a B.A. increased from 16,597 to 18,901 and those with graduate degrees climbed too, from 13,759 to 17,402. Finally, employment growth in the professional occupations outpaced all other sectors growing by 48% from 5,960 to 8,838. This is clearly an area that is increasingly focused on higher education coupled with employers eager to hire newly minted graduates. According to Susan Bogardus of First American Bank of Athens, “retirees continue to be drawn here due to our proximity to Atlanta, the resources of the University of Georgia, the top-notch medical care, the sports and the affordable housing. ” She went on to say that “continued construction activity at the University and the building of the new hospital have been a boon to the local economy.” As a result house prices have held up well during the downturn. They are up 2.5% since the trough in January 2011 and are about 15% off their all-time high set in September 2007. Improving economic conditions have resulted in payroll employment being down just 5,500 from its peak in March 2008 and up by 2.3% since the trough in January 2010. Single family permitting activity is up a strong 9.1% on a seasonally adjusted monthly average basis from the trough set in March 2011. While new homes are being built in many parts of the Athens MSA, activity has been primarily centered in Oconee County, due to its outstanding public schools, and in an around the University of Georgia to accommodate the growing student population.